It doesn’t matter what type of file server you have, it can fail. Database servers, email servers, etc. go down on a daily basis. Even with advanced backup solutions in place, the data may still be lost or the backed up version of the data was corrupted or out of date. Our company performs all types of server data recovery. With our combination of experience, proprietary tools, and skilled technicians we can recover data from the most complex file server environments. Regardless of size or configuration, your data can be recovered. Server data recovery is something that needs to be handled by a company that is proficient with retrieving data from complex file server environments. 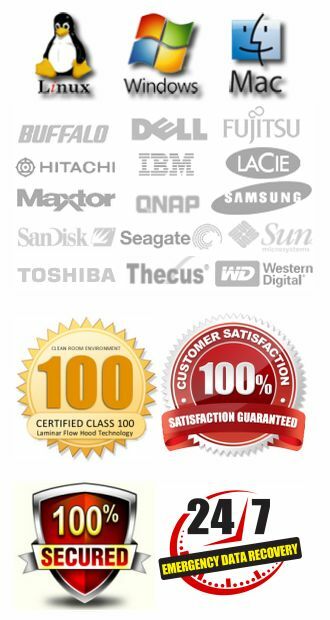 Even if you decide not to use us, just make sure you use a legitimate data recovery company. We even have a list of companies that we recommend if you decide you just don’t want to use us for some reason. When a file server of any type goes down, you may have irreplaceable data, or data that may require hundreds or even thousands of man hours to replace. Just because the data is not accessible, does not mean it’s gone forever. However, whether the data is recoverable in the end, is largely dependent upon what actions you take when the server goes down initially. The less you do, the greater the likelihood your data will be recoverable. We are data recovery professionals. That is all we do. Our company specializes in data recovery from failed servers and we can work to restore your data and get you back up and running as quickly as possible. We work with every type of file system and server configuration that there is. We can even work with virtual machines. The less you do to your server when it fails, the better your chances for a successful recovery will be. The leading cause of unrecoverable data when it comes to file servers and RAID arrays is human error. If your file server crashes, just unplug it. Do not try to mount the volume again, do not swap out drives, and by all means do not initiate any type of rebuild. To start your recovery, simply CLICK HERE. 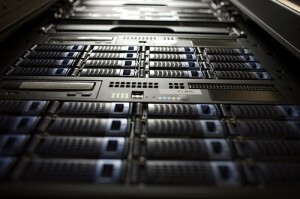 We start by analyzing your server and determining what the failure is exactly. Our initial evaluation is absolutely FREE! When the evaluation is completed, we provide you with a firm written quote for the recovery cost. Your recovery is guaranteed not to exceed this amount under any circumstances. If you elect to proceed, and your server contains more than 6 drives there would be a non-refundable deposit charged that varies depending on the full size of the array. This is the only time we charge a non-refundable diagnostic fee on RAID arrays or file server recoveries. When we get your authorization to proceed, we then create sector-by-sector clones of each drive within the server. From that point on, we are working with cloned copies. This is done to maintain the integrity of the original data, and to guarantee it is not altered in any way. When we have the destriped image we can then rebuild the file system logically and pull the desired data from that rebuilt data stream. After the data is pulled we can securely FTP some of the most critical files, and transfer the remaining data to an external hard drive which can then be shipped back to you. If you need your data recovered after a file server crash, then the first step you need to take is to call 1-800-717-8974. 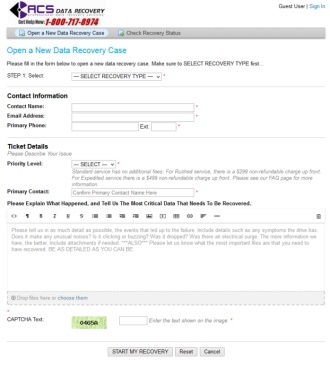 Speak with a data recovery professional on the phone, and get the answers you need about your particular case.